Melissa is a Family Nurse Practitioner for Johnson City Internal Medicine who joined the team in 2007. She received her undergraduate degree from East Tennessee State University before obtaining her Master of Science in Nursing from ETSU. 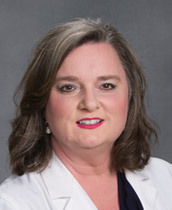 Melissa is Tennessee State licensed, holds ANCC Board certification, and has been practicing medicine for over fourteen years. Melissa is married with two children. When she is not helping patients, she enjoys traveling, reading, and cooking.